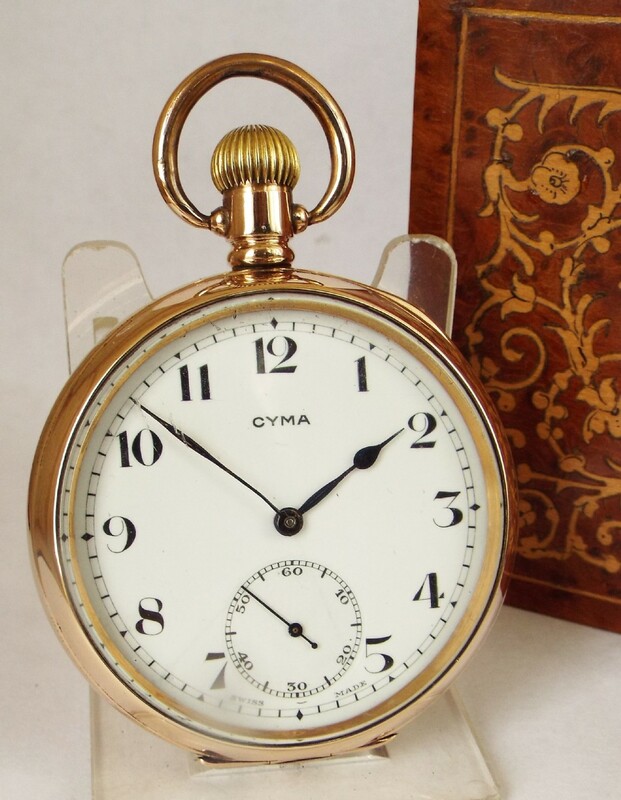 A Vintage 1930s Cyma Pocket Watch. This particular watch has a Cyma stem-winding movement, which is working nicely. The movement is stamped 15 jewels, 3 adjustments, Swiss made, and the Cyma calibre number 999a. 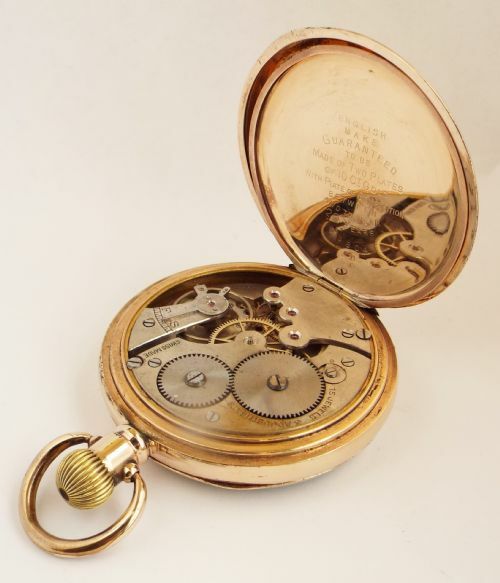 The movement is protected by an inner hinged cover. The watch measures 50.6mm diameter excluding the winding stem and the loop. 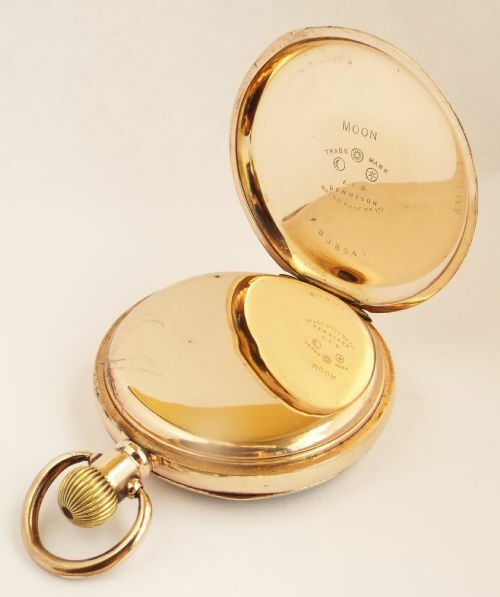 The case is 10ct gold filled and is the Moon model made by the English based watch case maker Aaron Dennison. The case has light surface marking from use but overall it is in nice condition. The glass lens has some light surface marking from use although very acceptable. The white enamel dial is signed Cyma and has a couple of very faint hairline cracks although only visible through a jewellers loupe, but overall it is in nice condition. All of our watches are checked over before listing, and are also checked for accuracy which is usually within around +/- two to three minutes over 24 hours (unless otherwise stated), which is considered respectable for a vintage watch. All of our prices include UK and worldwide postage. 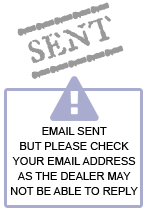 We are a VAT registered company and all purchases are covered by Consumer Regulations. Credit / debit card purchases can be made over the telephone on 01386 750238 or you can proceed via the blue 'Buy now with credit card or Paypal' button on each listing page. 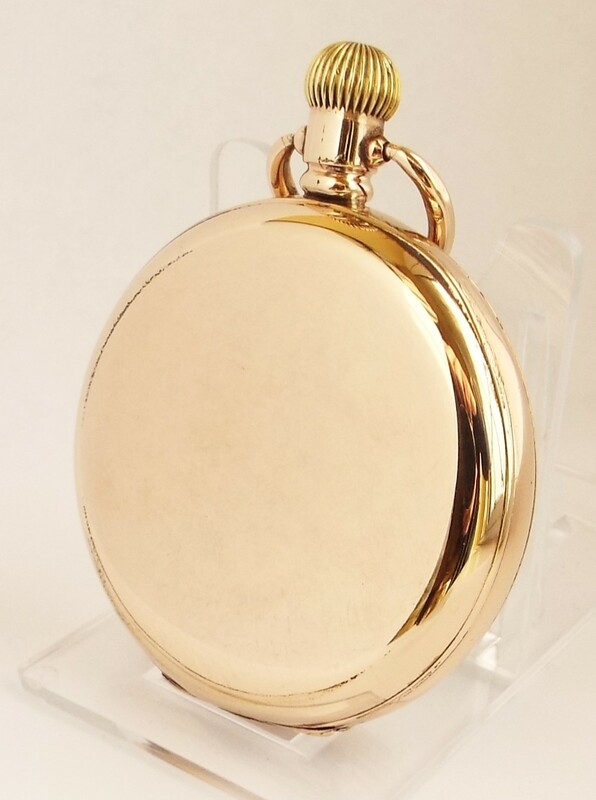 The A vintage 1930s Cyma pocket watch. has been added to your saved items.